To celebrate the 21st anniversary of their debut release, Blur’s last (to date) album Think Tank has now been expanded across 2CDs, with an entire disc of bonus material added to the original 2003 release (which was the band's fifth consecutive No1 album). The Think Tank Special Edition collects together b-sides from the Out Of Time, Crazy Beat and Good Song singles, which include a Marrakech Mix of Money Makes Me Crazy and an alternative version of Me, White Noise (which was a hidden track on the original release). Completing the Think Tank Special Edition are the track Some Glad Morning (only previously available as a Fan Club Single), an acoustic mix of Don’t Be, a demo version of Sweet Song and a previously unreleased five track live XFM session from October 2003. The Think Tank Special Edition is housed in a deluxe lift-off lid box with four exclusive Blur artwork postcards and an expanded booklet that includes previously unseen photos and liner notes based on a brand new interview with all the band members. To celebrate the 21st anniversary of their debut release, Blur’s last (to date) album Think Tank has now been expanded across 2CDs, with an entire disc of bonus material added to the original 2003 release (which was the band's fifth consecutive No1 album). The Think Tank Special Edition collects together b-sides from the Out Of Time, Crazy Beat and Good Song singles, which include a Marrakech Mix of Money Makes Me Crazy and an alternative version of Me, White Noise (which was a hidden track on the original release). Completing the Think Tank Special Edition are the track Some Glad Morning (only previously available as a Fan Club Single), an acoustic mix of Don’t Be, a demo version of Sweet Song and a previously unreleased five track live XFM session from October 2003. 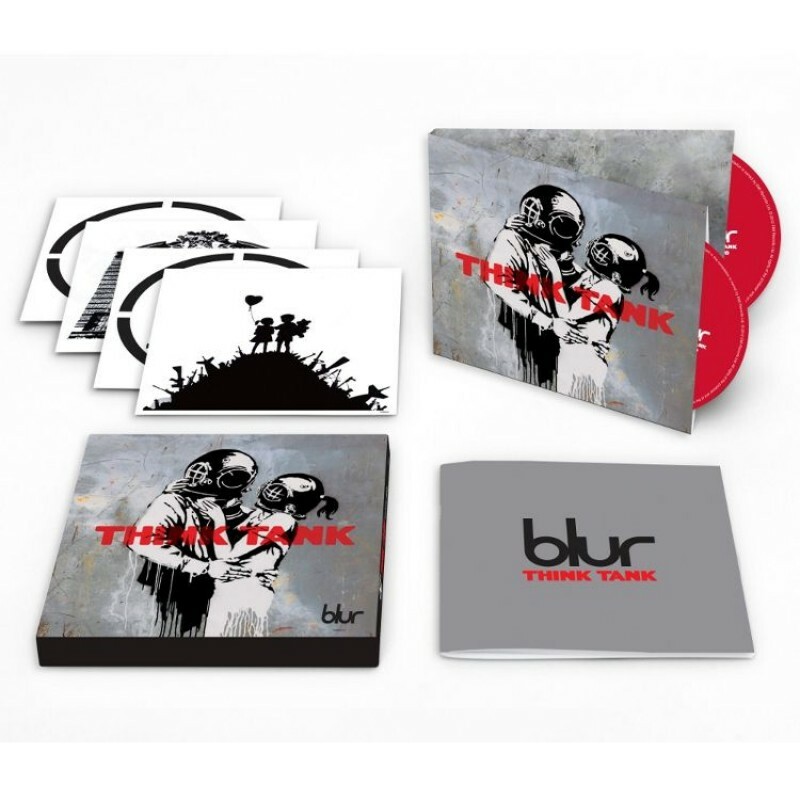 The Think Tank Special Edition is housed in a deluxe lift-off lid box with four exclusive Blur artwork postcards and an expanded booklet that includes previously unseen photos and liner notes based on a brand new interview with all the band members.